In just two years, multiple national awards, and a core local customer base have combined to make John Keoghs – The Lock Keeper, one of Ireland's best loved gastro pubs and social get together destinations. In 2017 John Keoghs – The Lock Keeper was named as one of Ireland's best gastro pubs by Hospitality Ireland, the Westend pub took home gold at the Irish Pub Awards by winning Best Pub Food and Best Customer Service in Connacht. The accolades did not stop here with the Irish Independent naming John Keoghs in its Top 20 Gastro Pubs in Ireland. The gastro pub which is located on Dominick Street in Galway’s food hub has also been recognised by EuroToques Ireland, the organisation of chefs and cooks dedicated to preserving the culinary heritage and inspiring the future. 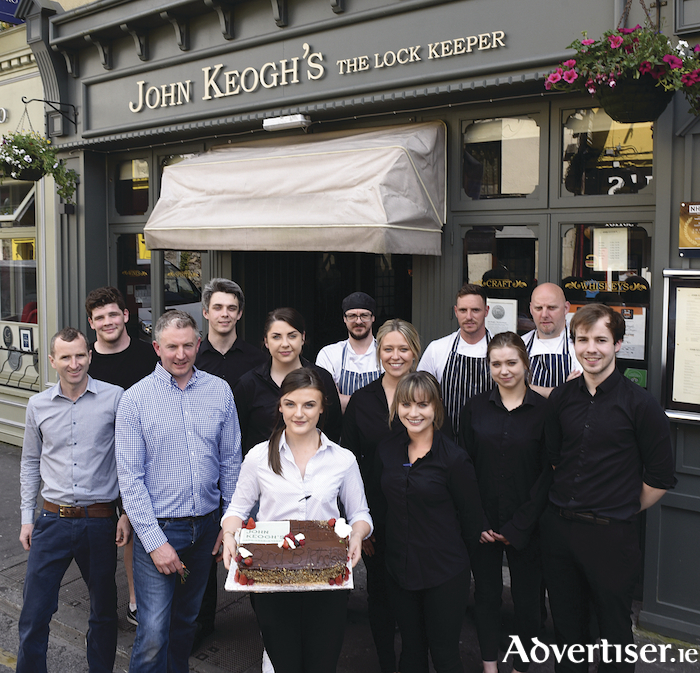 John Keoghs – The Lock Keeper has been a very welcomed addition and is now firmly placed among the places to go recommendations in Galway’s westend. The bars at John Keoghs are filled with snugs and partitions with genuine pub antiquities, this along with an open fire and a warm welcome makes this the place to eat and drink in Galway. With a private function room that can host from 20 to 100 guests, a party in John Keoghs is all about great cooked to order party food and service. Guests have their own private bar and as described by a customer; “It is worth pointing out this is no ordinary finger food. The food was of gourmet quality." The private occasional room has its own bar, sound system, air conditioning, and is on the same level as the main bars. Options for a DJ, small band, or just background music from a playlist are all available. Whether you are popping in for a light bite, Sunday lunch, or dinner, John Keoghs has that feeling of welcome you get from a place that is familiar. The interiors, the staff and the drinks offering along with the award-winning food, combines to make John Keoghs a place you will return to again and again. Dinner is served on week nights from 5pm and lunch from 1pm on weekends. Get social with John Keoghs, The Lock Keeper across all social media platforms. Call 091-449431 or check out John Keoghs on Tripadvisior or www.johnkeoghs.ie for more information. It caters for private functions.